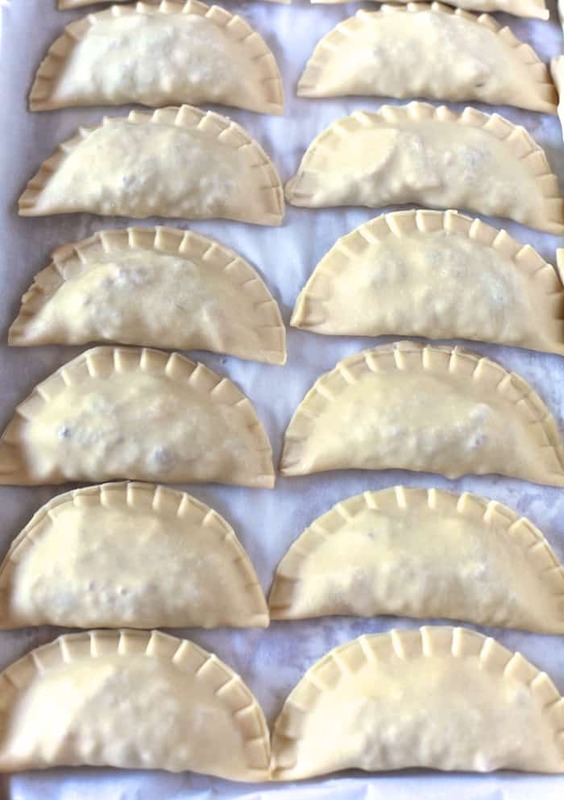 Pastelillos de Carne (Puerto Rico Meat Turnovers) | When I was in college I road several pisicorre or pisa y corre (passenger van buses) to get from my home in the country to my school in the city. It was a long voyage to get to and from school. The goal was to get a van that had cloth seats and air conditioning. But, more often it had leather seats and no air conditioning. Right next to the bus terminal was a kiosk that sold pastelillos and cold malta. Every day, on my way back home I would buy myself one of each to eat on the walk home. Pastelillos and malta sustained me during most of the years in high school and college. You may be looking at these little treats and think, OH! Empanadas! But they are not empanadas, they are pastelillos (pas-te-lee-joes). In Puerto Rico what you may call empanadas we call empanadillas because of empanadas references something that is breaded and fried, think chicken fried steak. So, what is the difference between empanadillas and pastelillos? Pastelillos are small turnovers made with a thin dough, similar to a pasta dough that is crimped at the edges and fried. Empanadillas are a large turnover with a thicker dough with rolled edges. The dough has a similar texture to pie dough. Today I am going to show you how to make pastelillos with a homemade pastelillo dough recipe. If making homemade dough sounds intimidating don’t worry you can use frozen. I like to make my own down because I find it therapeutic but, if I am in a pinch for time I use Goya discos, which can be found in the freezer section of many Latin groceries. Once the dough is rolled and cut into discs line a sheet pan with parchment paper and lay the dough discs in a single layer. Then lay another sheet of parchment over the dough discs and lay another single layer. Continue stacking in single layers divided by parchment until done. Then place in the freezer. Once frozen gently separate the discs and transfer to a resealable bag. I use this technique so I don’t end up with a block of discs and I can easily use the individual discs. Let’s talk frying for a minute. I’ll be honest; Puerto Ricans want to fry all the foods, but frying can be a pain. Then I got my hands on a Waring Deep Fryer and now frying is a snap, which is dangerous… very dangerous! Fry all the foods!! Having a countertop deep fryer makes all the difference! 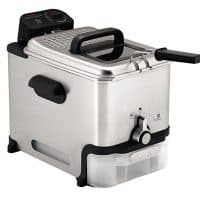 I love this fryer because it self-regulates the heat, has a built-in timer and is big enough to fry generous batches without having to overcrowd the basket. If you don’t have a deep fryer, you can also use a dutch oven or large skillet. If you choose to use a skillet pick a skillet with a heavy bottom that evenly distributes heat. Nonstick skillets are great because they are easy to clean out and don’t form that sticky oil buildup. My favorite kind of skillet to use for frying is a cast iron skillet . Pastelillos can be filled with all kinds of wonderful and delicious foods. The most popular ones found in schools are pizza that is just cheese and tomato sauce. If you are traveling along the coast of Puerto Rico, you’ll find crab filled pastelillos, and they can even make a wonderful dessert when filled with guava and cream cheese. 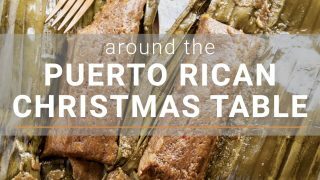 Looking for more Puerto Rican treats? Try these arepas de coco or tostones. Explore more Puerto Rican flavors by visiting my entire collection of puerto rican recipes. Pastelillos de carne are a Puerto Rican street food staple. This recipe is made with a homemade dough and flavor-packed beef filling. Heat skillet at med-high, drizzle with 2 tablespoons of olive oil. Sauté onions, garlic, and recao culantro (or cilantro) until onions are translucent. Drizzle beef with a tablespoon of olive oil and season with dry adobo and salt. Add beef, potatoes, olives, bay leaves, raisins (if using), water, and tomato paste to the skillet, stir until well combined. Raise heat to bring to a boil. Lower heat to a simmer cover and let cook for 15 minutes. Uncover and let simmer for another 15 minutes or until sauce thickens. Set aside. Add flour and shortening in a large bowl. 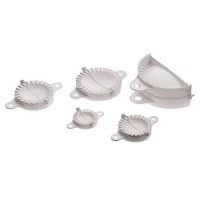 Using a pastry cutter or fork cut the shortening into the flour. Add the egg and mix using a fork. Add the water a little at a time, mixing with a fork. When done mixing the dough will be brittle or in pieces. Dust a work surface with flour, turn the dough out on the work surface. Press the dough together into a rough ball. Knead the dough using your palm, as if you were washing clothes on an old washboard. Knead until the dough is soft and smooth. Form into a ball, cover with a plastic wrap and let it rest for 30 minutes. Line a sheet pan with parchment paper. Roll dough out into a rope about 15 inches long. (I roll, pull and squeeze) Once rolled out cut off disks about ¾ of an inch thick. Dust your rolling pin and workspace and roll out into a 1/8 thin circle. 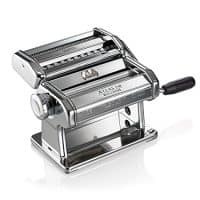 If you have a pasta roller, you can use it to roll out the dough rounds. Lay dough rounds on a prepared sheet pan and cover with a clean kitchen towel. If you need to layer, the rounds place a piece of parchment between the layers. Take a round of dough and place 1 spoonful of filling in the center. Be careful not to get any food along the edges or it will not seal properly. Using the tip of your fingers wet the edges of the dough with water. Fold over to make a half-moon. Pinch the dough together using your fingers, then go over it, pressing it with the teeth of a fork. Return to sheet pan and cover. Repeat with remaining rounds and filling. Line a large plate with paper towels. Heat 1 1/2 inches of oil to 350 degrees in a large deep skillet. Working in batches, carefully place turnovers into the oil. They should almost immediately begin to puff and float, cook on each side about 2 minutes, or until golden brown and crispy. Transfer to a plate to drain and let cool. Can they be fried in a air fryer? Thank you. I have not tested this recipe in an air fryer. Born in PR and these are called pastelillos! Empanadas are baked. My family from PR calls them Empanadillas.. I also grew up calling pasteles pateles..Thinking back, I think it was because our grandma had a lisp.. or maybe because my great-great grandparents were from Spain..
What is the best way to store pastelillos after they are cooked and how long are they good for? There is no best way. Pastelillos are best served fresh. Otherwise they won’t have that crisp texture. I recommend freezing them and then frying them to order. That way they will last months in the freezer. I suppose if you really want you can cook them, refrigerate them in an airtight container, and them reheat them in a high temperature oven. I have not tired this so I cannot say exact temps or time. I recently purchased the disks at a local supermarket. Reading the ingredients I was happy to see ‘Manteca vegetal’ (vegetable fat). When I read the back side of the package it said: ‘vegetable or animal fat!’ That animal fat does not go in my families meal plan. I called the company to ask why the discrepancy of information. They said it depends on the price they get their supplies, and that currently they were using vegetable fat. Hmmmmm, I don’t trust that. I am happy I found your recipe!! Now I know what ingredients will be in our pastelillos!! My boys love them with guava paste! Such a sweet delight. Oh, and I did not deep fry them…. they were cooked in the airfryer!! Game changer! Just brush on a light layer of oil, or nothing at all! So yummy, thank you for the recipe! Based on the fillings from the comments above, I can see another name coming. 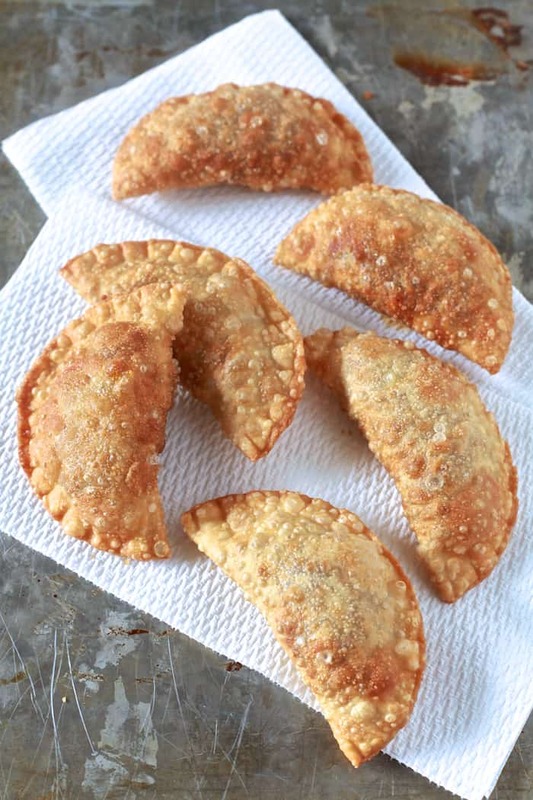 I was born in PR and as the author said they are called Pastelillos and back in the days (60s )you could only find them with either cheese or beef. I can see why after so many filling variations people are calling them something different. Im born and raised in PR (east side) and I’ve always know these as pastelillos. Empandadillas would be the bigger white one that originally have a pizza sauce & cheese and to add yet another name to this when they are shaped long like a stick they are called “tacos”. We can’t just discredit their names just because… in the small island of Puerto Rico different towns or areas might have different names for things, as well. I care what this is called when it’s a Puerto Rican fritura. We call it empanadilla not empanada nor pastelillo. When you visit Puerto Rico and stop at a supermarket ask for pastelillo you will end up at the pastry section. The frozen section will be filled with empanadillas. Empanadillas are delicious. Eso no es verdad! Pastelillos se reconoce en PR como lo que aquí especifica. Unless you call for Pastelillos de Guayaba, then that will be in the pastry section of a bakery. OMG you are absolutely correct! I’m Puerto Rican and when I see or hear empanada or pastelillo to our fritura I’m always correcting them! I tell them to visit the supermarkets in Puerto Rico they will be surprised to see a pastelillo in the pastry section. Oooooh, that crispy shell. So enticing! I don’t usually like frying things since I don’t own a fryer but I may just have to get over it. Need to try these! I don’t care what it is called, I want them! And I want to eat a lot of them! I have never had these! I can’t wait to try! My mouth is watering! I want a whole batch of these! I would fill it with apple pie filling. id f ill it with cheese and chicken! I would use my leftover pot roast shredded and add cheese, onions, and taco or enchilada seasonings. I would fill them with Nutella and strawberries! How about another version of pastelitos de guayaba y queso! I would follow your recipe, making it vegetarian and leaving out the olives and raisins! LOL That sounds really good! I think I would fill with pizza fillings – sounds yummy! I would fill it will lots of sweet and hot peppers and cheese. Chicken, of course! Though yours look really yummy too! Thx for explaining the difference between pastellios and empanadas. I grew up eating pastellios and my son-in-law and his family always request I make empanadas for all the special occasions. Now I understand the different nomenclature. So to please a large crowd of mixed ethicity I make mine with the small size Goya discos and picadillo without raisens. I use Sazon packets, both Goya Reccaito and Sofrito, and tomato sauce instead of paste. Some include olives others don’t by request. I would fill it with chicken, onion and corn. I would fill it with chicken, corn, salsa and avocado. I would fill mine with a variety of cheeses and some sweet onions. Ground meat, rice, and beans. I’d fill the pastelillo with cream cheese chicken & green chilies – thank you. I’d fill it with cheese, salsa and beef! I make mine just like yours minus the raisins as per my family’s request. Here we have pastelitos de guayaba y queso which are the Cuban pastries with cheese and guava. I would fill the pastelillos with sweet cheese and a fruit filling, raspberry or apricot. I would fill mine with veggies and cheese. I would fill with ground beef, onions, and mexican cheese! Yum! My favorite is tuna, diced tomatoes, raisins and olives! And dipped in chili sauce. I’d love to try just plain, traditional taco filling. Also, making little pepperoni pizza ones. I love them made with the filling in your recipe, but I’ve dying to make cinnamon apple ones. 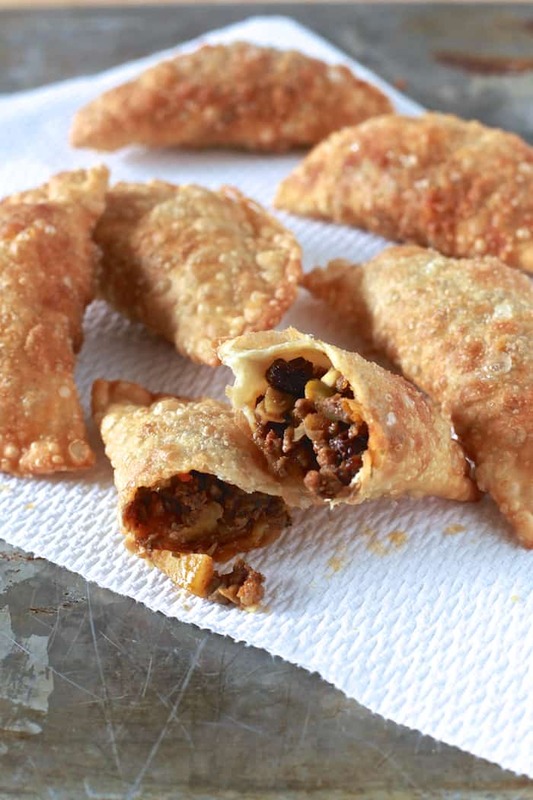 My husband and I love the pizza and picadillo-stuffed pastelillos or empanadillas – those are hard to beat. I had a pastelillo once with a filling made of shredded seasoned chicken and a thinly sliced hard-boiled egg that was different, but delicious! I’d fill mine with an Argentine criolla filling. beef, mushrooms, carrots and peppers! I would fill my Pastelillos with your recipe plus fresh cilantro. Might also be fun to add little cubes of fried plantain (since the deep fryer is out and all… ) instead of potato! I would fill with chopped fresh cilantro and ground turkey. I’d fill in with ground pork and rosemary. I would make a meatless version and use diced up portabello mushrooms instead of beef. I would fill my pastelillo with spinach and cheese and chicken. I’m so afraid to procure a deep fryer because I know how much I would use it. 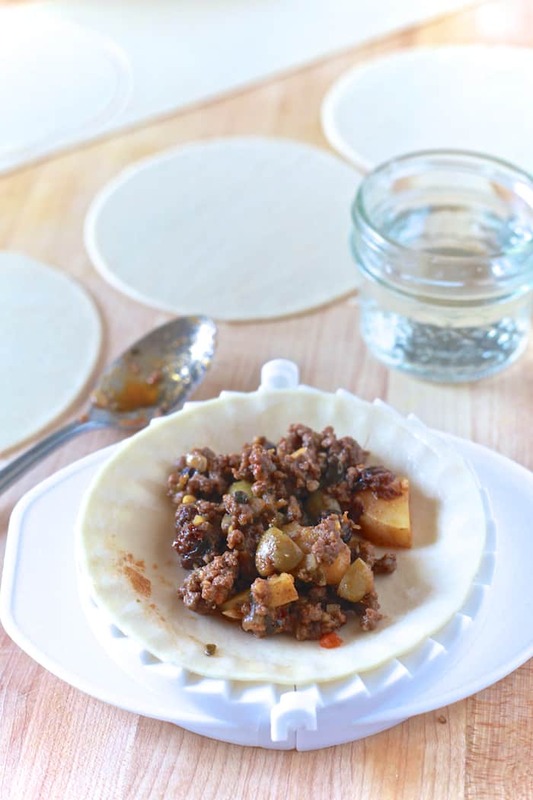 I would definitely fill my pastelillos with picadillo or any leftovers that I could morph into a quick hash before stuffing the dough. Mmmmm! I’ve never made them so I would try something simple. Id try beef, onion and cheese or chicken, onions and green pepper. They look amazing! I’d fill mine with potatoes, onions, lamb, and a little gravy! Now this is making me all nostalgic for my friend’s mom’s cooking Meseidy. Those pastelillos look amazing!! Hubby and I went to PR earlier this year and ate more pastelillos than any one person could eat in a week. But now I crave them! Dominicans want to fry all the things too! ALL.THE.THINGS! I can never turn down pastelillos de carne. My mom usually makes them, freezes them, and drops them off in small batches. She knows… I will fry them all and hide in a corner, eating till they’re gone. I’m jealous that I didn’t have these for lunch today! Sweet baby J I need this in my life! i would fill it with cheese! we are big cheese fans in this house! maybe some bacon too! I’d fill mine just as you did here. They look incredible and I just love that little gadget you used to fold and crimp. Awesome! This is why I don’t have a deep fryer – I’d see a recipe as yummy looking as this and then want to eat it for weeks! Looks great! I like sweet potatoes in turnovers, so I’d include that (and maybe kale or a protein). Could you bake these in the oven instead of deep frying them? Love the olives in your turnovers. Great job! My husband would love these filled with a lamb curry mix. There is a puerto rican restaurant I frequent since it is near my job. I always get beef pastelillos so when I saw this post I was so happy!!! They have the best rice and beans as well and I can’t find a recipe that replicates it at all! 🙁 I am super excited to try these… truly! Thanks for sharing! I would fill my pastelillo with some raspberries and cream cheese for a yummy dessert. These meat turn overs look fantastic! I love everything in it! I would fill my pastelillo with spinach and feta cheese. I would fill my pastelillos with beef, cheese, bell pepper, red onion and a little garlic. I love any meal I can eat with my hands! Such a fun recipe! I would fill it with the Picadillo reciepe above with Maduros or ham with swiss and Maduros. These are perfection! Love the raisin and olive combo! I would fill them with potatoes and ground beef – and some yummy spices!! Ground beef, potatoes and bacon. I make Pastellios all the time! My fav way to make them is with a shrimp filling. YUM ok I have to make some NOW!! 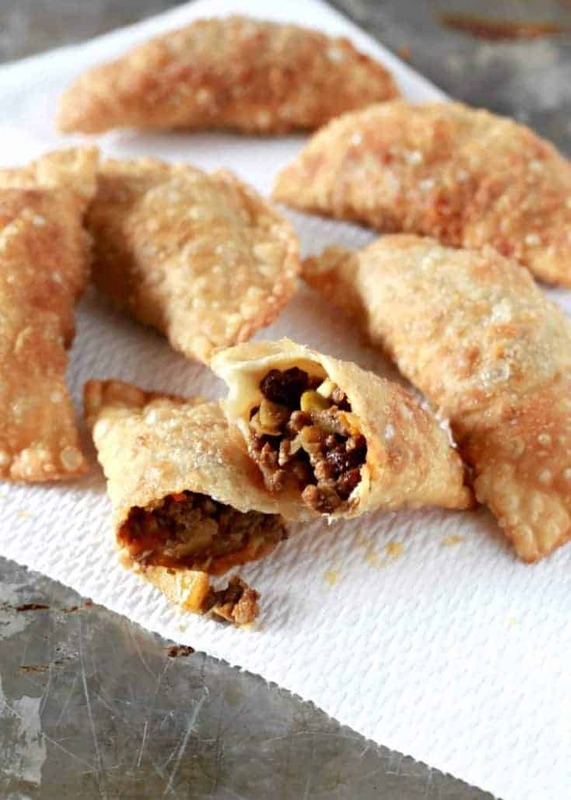 Like Colombian empanadas, I would fill my pastelillos with ground beef and diced potatoes. I would eat the filling before I had a chance to make the dough! I made whit chicken breast ( guisado) whit fried plantain cut in small pices .